It’s an exciting new era for Lotus. Now that the company is more financially secure since being taken over by China’s Geely, an all-new Lotus model is launching next year before the next-generation Elise, Exige, and Evora arrives in three to four years. Reports also suggest Lotus is building a new halo hypercar in collaboration with Williams Advanced Engineering to rival the Aston Martin Valkyrie and Mercedes-AMG One. Details are still scarce, but if it looks anything like this, then we’re already sold. What you’re looking at here is a design created by render artist Antonio Paglia. Dubbed the Lotus Evil Vision GT concept, the hypothetical hypercar has an aggressive design inspired by classic Formula One cars and fighter jets and wouldn’t look out of place alongside the Aston Martin Valkyrie and Mercedes-AMG One. At the front, the Evil Vision GT Concept features huge air intakes on either side. The front bumper also lacks a central part in order to channel air along the vehicle’s flat undertray and straight to the huge rear diffuser, resulting in a striking design that would make Lotus stand out in the hypercar scene. The front also includes small headlights and a tiny trunk. Looking at the side profile, it’s clear the Lotus hypercar concept has been designed to be as aerodynamically efficient as possible. Small cameras replace traditional side mirrors, and there are also massive air channels directing air towards the split rear wing. Paglia hasn’t said whether the concept has been designed to feature an all-electric, hybrid, or internal combustion engine, but reports suggest the Lotus hypercar will be fully electric, all-wheel drive, and produce around 1,000 horsepower. It will also need to be light and nimble to be a true Lotus, which won’t be an easy feat with the extra weight the batteries will inevitably add. 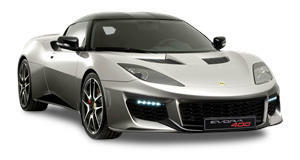 We're hoping the reports are true, but at least we can now envision what an extreme Lotus hypercar could look like.